With breakfast being the most important meal of the day, it’s important to make sure it’s nutritious AND filling. Our Fiber-rich French Toast will help you kick-start your morning and provide you and your family with a hearty meal that will carry you throughout your busy day. 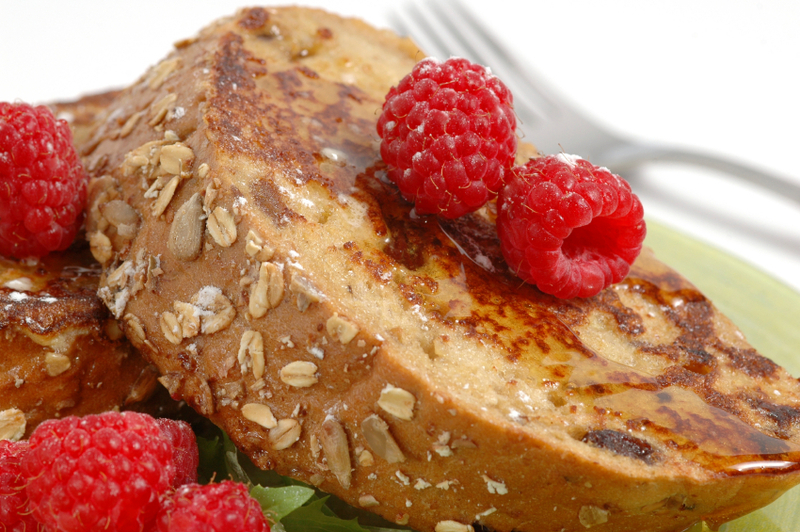 Made with Shiloh Farms Organic Oat Bran and Sprouted Grain Bread, our French toast is a delicious option loaded with nutrients! In a shallow bowl, beat together milk, syrup and egg. In a separate bowl, combine oat bran and cinnamon. Dip bread in egg mixture, then in oat bran mixture, coating both sides. Cook in large skillet with melted butter over medium heat until golden brown on both sides. Serve with syrup, raw honey or fresh fruit. Check out the Shiloh Farms Breakfast page for more tasty and healthy options for breakfast! ← Let’s hear from our fans!